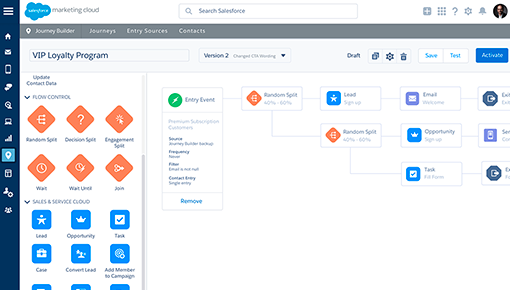 Incorporating product recommendations and Dynamic Content into email campaigns could not be easier with the Salesforce Marketing Cloud integration. Existing Marketing Cloud customers can easily deliver a consistent recommendation experience across site and email with this integration. Using out-of-the-box code snippets specifically designed for Salesforce Marketing Cloud, deliver the most relevant and timely email product recommendations and Dynamic Content to your most valuable customers with ease. Test and optimize Dynamic Content and product recommendation variations among different audiences to re-engage site visitors during key moments in the customer journey. Deliver the most relevant product recommendations via email to customers engaging with a specific product category on your site. Enrich your Emarsys email campaigns with personalized email content and recommendations that render at email open-time.